Searching for the best jet card program provider? Looking into what each private jet company has to offer, and finding yourself overwhelmed with information? You need to do your homework before choosing the right jet card provider for you. 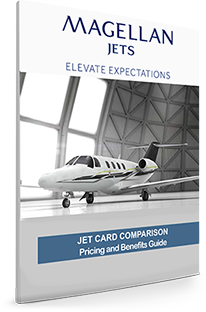 Download this FREE jet card comparison guide and receive a side by side comparison on the top 5 jet card providers in the private jet industry and their jet card programs.